LoanAdda App comes with 3 simple step processes to know your eligibility and the banks from which you can avail the loan. 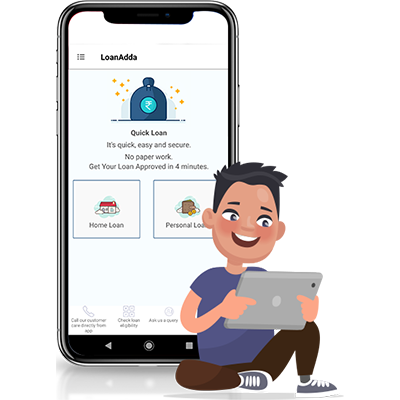 It Offers loan options from over 40+ banks and NBFC’s.LoanAdda App helps you to browse and compare best offers from different lending institutions. We put ourselves ahead of the line to ease your process till disbursal. We also bring all these services completely FREE. There are no hidden costs and best of all no middlemen. It is pure banking and ease at your fingertips. Experience the power of choice in your hands. Confused about your loan eligibility, just punch in your monthly income and current EMI’s and outstanding and get to know about your loan amount eligibility from our LoanAdda Eligibility Checker. LoanAdda Expense tracker enables you to track all your accounts and spends, keeping you updated in real time on all your transactions. 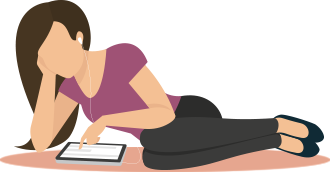 Get details about various options on your monthly EMI payments using our online EMI calculator to choose an affordable repayment option for your loans. Update your profile with just some basic information, and upload minimal documentation, and get the e-approval within few minutes. Empowering borrowers to make decisions based on informed financial data. High-end technology and big data analytics for better customer satisfaction. Highly qualified professionals aspiring to compete and create disruptive innovation. © 2019 LoanAdda. All rights reserved. Wrong OTP , Try Again.